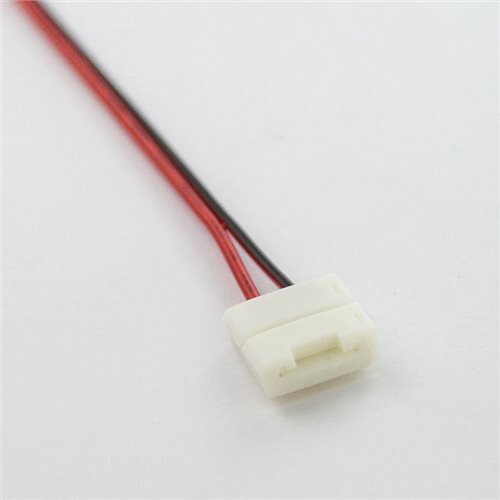 This quick to use connector saves time and effort compared to other connectors avaialble on the market. Easy to use connector. Just unclick the right upper half part of the connector, carefully push the 10mm strip inside until the PCB pad fits below the 2 pins. Compatible with all single colour Osram or Comus LED strips IP20 not wider than 10mm. Also compatible with strips having up 120 LED chips per meter. protecting the start of the LED tape on the long run.